In our current fast-paced world, one extra step or the extra loading time on a website could well determine whether we use a company’s services or not. That’s probably why smart grocery shopping has never greatly taken off and totally disrupted the traditional supermarkets in a huge way. Taking your phone out, launching an app, holding your phone to the barcode of the item you want, waiting for a few seconds to scan, waiting for a few more seconds for the item to register on the app, and then check out. Wala! The process just sounds too much of a hassle. Now, all that is about to change in a big way. Amazon Fresh, the same day delivery service currently operating in Southern California, San Francisco, and Seattle, has just launched a new product that will change the way we shop. 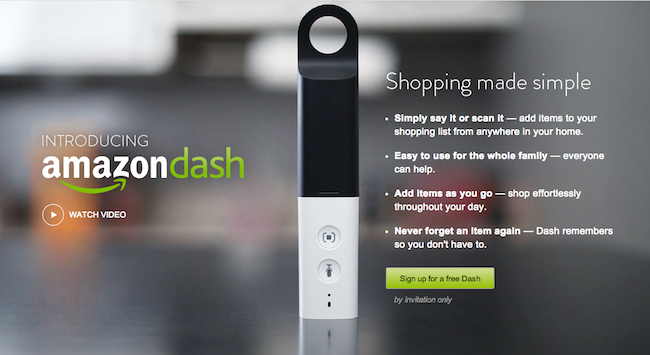 Called Amazon Dash, it is a device that makes replenishing groceries from your home seem like magic. The Dash is a black-and-white, wand-shaped gadget that adds to a customer’s shopping list when he or she uses it to scan an item’s barcode, or holds down a microphone button and says a product’s name. The Dash connects to users’ Wi-Fi networks so that it can add items to customers’ lists. 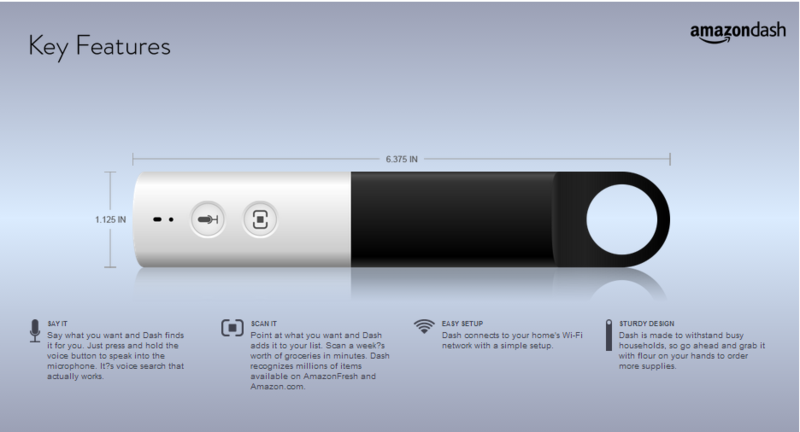 Dash is roughly 6-inch-long plastic stick, and it includes a laser scanner and a microphone for voice search, either of which will let you add items to a shopping list. I consider myself a pragmatic Techie. I love my gadgets. But whenever I have to come to a choice to buy the newest device or not, I tend to think a lot. However, when I saw The Dash, I know I need to have it. I can just imagine myself scanning the barcode whenever my chips, chocolates or frozen pizzas run out. Of course this will probably never reach the shores of Singapore. But it does give an indication of the future of grocery shopping. Could this device finally be the key to an online to offline grocery shopping experience?enablejsapi=1&html5=1& Let’s hope local startup Redmart gets the memo.